Theme is more than just an idea that holds a story, attraction, or land together. It isn’t just the architectural stylings accurate to a time and place. It isn’t just the little details affixed to tables and walls. It is all of these components working together to create a quilt-esque tapestry that creates an experience for guests on an individual and group that is immediately identifiable. The role of music and sound within these theme park experiences is very often downplayed or overlooked. We search for these loops of concentrated music when we return home, from resorts, lands, and attractions, but so often when we are living in that moment they are simply white noise in the background. This is precisely the role that they were meant to play. That isn’t to say that there isn’t a value to it, but its main role is to keep guests immersed in the story they currently reside in and keep out the other tales happening just beyond their view. 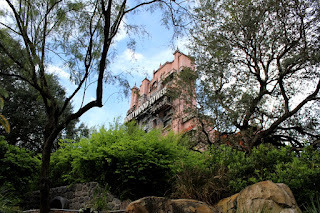 From Big Rock Candy Mountain in Frontierland in full view of Big Thunder Mountain to the haunting tremble in Vera Lynn’s We’ll Meet Again floating through the lobby of The Twilight Zone Tower of Terror, there is emotion in the music selected and how it is played. 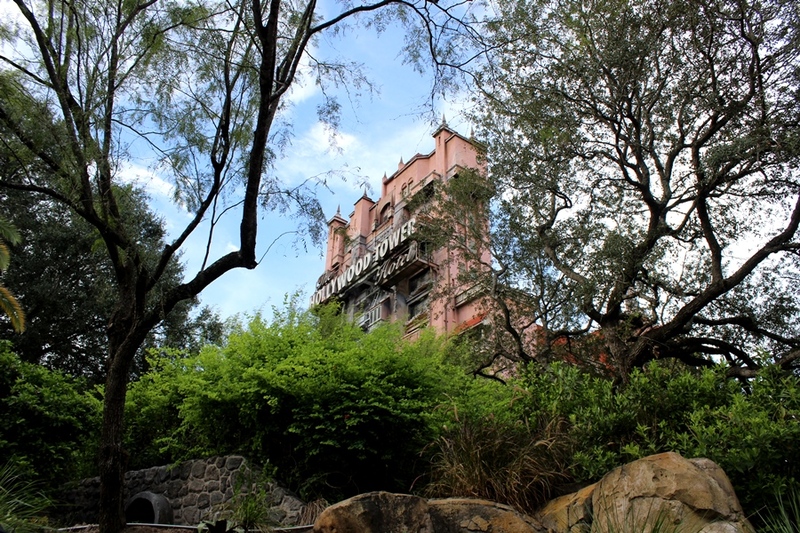 The aforementioned Tower of Terror’s loop seems to play off in the distance, almost like an echo, calling to you from some unseen corner of the haunted hotel. Consider for a moment that any single park can have somewhere in the neighborhood of 15,000 speakers. That is a lot of sound being pumped into spaces large and small, and yet they never seem to collide within our ears. Story is the driving force here as well. Buffers, such as noises of the jungle between green spaces, the roar or tinkling of water features, or even music that could call both lands home are utilized as dissolves. That is, the melt away one atmosphere and slowly replace it with another. Certainly every rule has its exception, but for the most part the ability to hear another land, or even another attraction, from a separate space is almost unheard of, save for where it would make sense, a la being able to hear the skippers on the Jungle Cruise from high atop the canopy of the Swiss Family Treehouse. The soundscape of Walt Disney World, or any Disney theme park, doesn’t only rely on music to sell its story wares. Throughout DinoLand U.S.A. there is a soundtrack that would be considered traditional scoring, using an orchestra to set the mood. Yet, if you listen closely that score is layered with the otherworldly sounds of insects, many of which have been amplified to make you feel a big closer to the prehistoric insects we all imagine existed when dinosaurs roamed the earth. Screams, both real and speaker projected, emanate from the Tower of Terror, while the sounds of prayer can be heard through the temple areas of Asia. The hum of a machine from the future or the voices of a radio broadcaster, each sound layered in over the music gives the guest the feeling of a world that is occupied. Even if they cannot see the resident, they know that they exist and it only serves to further heighten the realistic nature of a space. 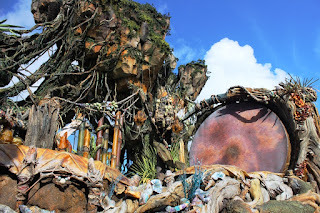 The most recent addition to Walt Disney World, Pandora, changes this methodology up in a way that doubles down on how important sound is to a space. Within the general space of the land there is not a single musical cue. You will hear a heard of beasts calling back and forth to one another from a variety of distances. A viperwolf’s growl and the sound of rustling underbrush lets you know that you are not alone. The screaming cry of a diving banshee will send you for cover, or just cause your heart to skip a beat. This is a soundscape of another world, where music, as we will see in the Na’vi River Journey, is sacredly important to the people who live here. Yet, that music does not permeate into the wilds of their world, and so the creatures of this world are given prominence in the audio storytelling. It’s a shift in how we expect Disney to handle background audio, but that doesn’t mean that it is the end of music in lands as we know it, it simply means that Imagineers have another tool in their storytelling arsenal now. Music is important to all of us, we have our own personal soundtracks whether we know it or not. Our favorite song that sends our foot tapping and sets us on a path to take on the world, the hum of the mini-fridge in our office that keeps time with the slowly ticking clock, or the cricket song on a lazy summer night where we are just enjoying some company; the soundtracks we live by our many and varied. When it comes to the theme of any space within Walt Disney World and the immersive nature of their stories, not detail is too small to not be considered, right on down to sounds and music we hear, and how and when we hear them. terrific post on one of my favorite subjects. I have to admit I'd visited WDW several times before noticing the audio loops, whether in the parks or at the resorts. Now listening to those as I walk around is one of my favorite things to do. 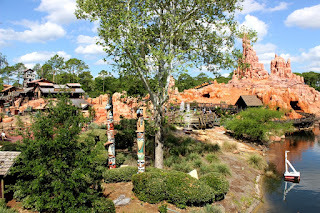 I was glad to learn there are sites out there where you can listen to park/resort audio. great article.